With Remembrance Day just a few weeks away, several cannabis businesses have joined forces to offer cannabis products free of charge to veterans. Derrick Sim from Thompson Caribou Concentrates said organizations like Smiling Buddha Inc, Expert Joints, Glacial Gold Premium Extracts, Potent Industry and others will be taking part in the offer Nov. 1–10 2016. “What we’re going to do is offer cannabis free in all forms, whether it’s flower or vaporizing material, edibles, topical creams, whatever it is that a person can use or feel like they might benefit from, we’re going to, as a team collectively give them the medicine for free,” said Sim. Sim said one of my friends is a combat veteran, serving several tours overseas, and he’s seen the way that post-traumatic stress injuries and other symptoms of combat play out in the lives of former soldiers with their families and social lives. “It’s not just the soldiers that come home that are effected, but it’s their families too that have to cope and learn just as much as they do,” he said. Sim said the biggest challenge has been reaching out to the group, that, while maybe not small, are not as easily reached as other people might be. Sim said Smiling Bhudda is currently compiling a list of eligible veterans that are interested and already have interest from Nova Scotia to Victoria. “If we benefit one person’s life and help them change the course of staying under pharmaceutical drugs, and the effects that they have, then I would consider it a great success,” Sim said. Veterans are currently eligible to have the Ministry of Veterans Affairs pay for medical cannabis, but a recent report has made waves in government offices, with many suspecting the benefit will be rolled back in the future. A May report showed that the agency had paid over $20 million for medical cannabis to veterans, up from $5 million the year before. Veterans Affairs provides up to 10 grams of medical cannabis a day to veterans. Auditor general Michael Ferguson said the agency had lost control of the program, prompting Veterans Affairs Minister Kent Hehr to call for a review, actions that have caused some veterans to be concerned that the government will soon severely limit their access to medical cannabis. Sim said interested veterans can contact him at Contactshatterboo@gmail.com, and that staff will help guide them through the process. Brent is a writer and editor living in Vancouver. He has a diploma in broadcasting from the Northern Alberta Institute of Technology in Edmonton and a Communications Degree from the University of Calgary. He's held editing positions at a number of media outlets across western Canada, including the CBC. 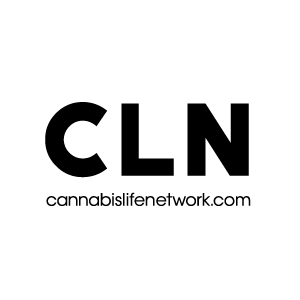 Joining us at Cannabis Life Network, Brent is helping to bring cannabis issues to the mainstream with solid reporting and entertaining commentary.